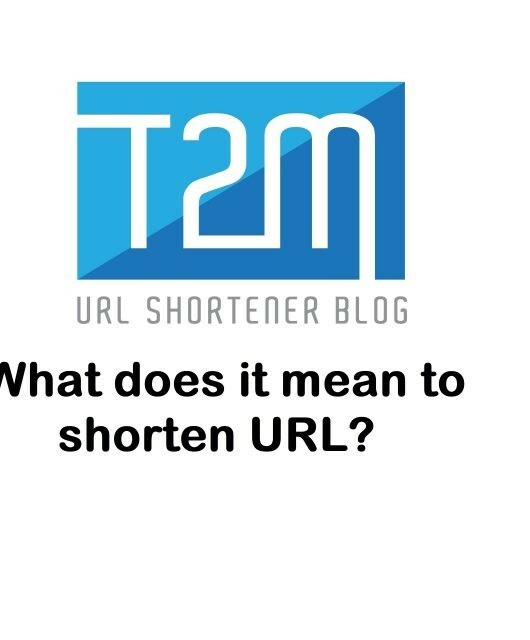 What are the benefits of the custom short domain? Have you noticed twitter links when you post and tweet? 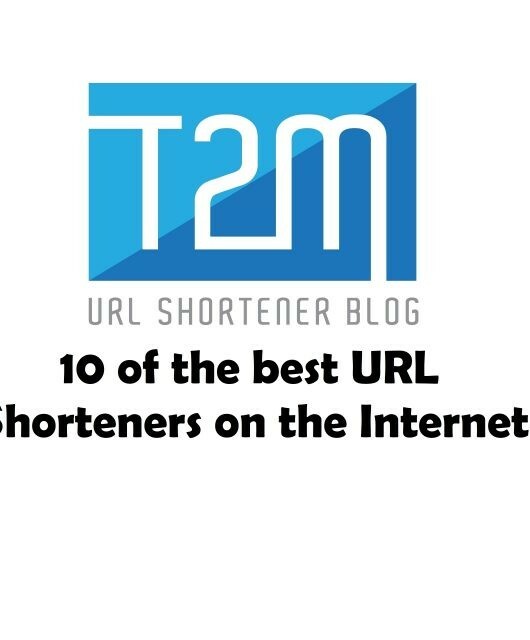 When you post any tweet which contains any external link twitter automatically transforms it into a t.co short link. This t.co is twitter custom short brand domain. 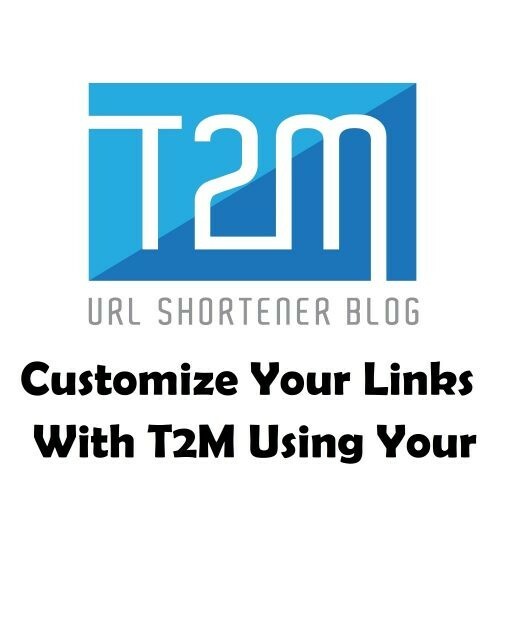 Get your own brand domain and link it with T2M to get your own short branded links. Your branded links will look like something www.YourBrand.me/iPhone instead of, www.t2m.io/De5rgX. Isn’t it cool? then what are you waiting for? Register for the T2M account. You can follow the link here. Upgrade to Standard Version of T2M directly from inside of your dashboard. You can compare a different kind of pricing plans and features here. Upon upgrade success, go to your T2M Dashboard and navigate to Branded Domains from the left-side menu. 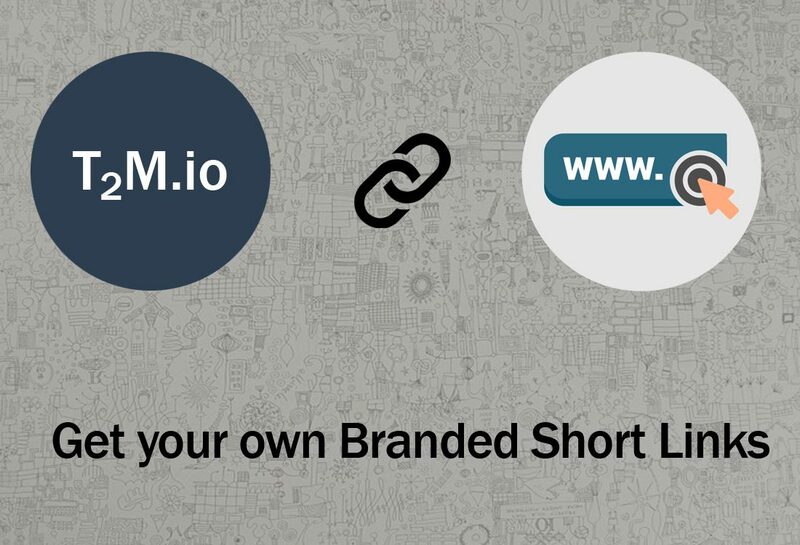 At branded domains page (Dashboard > Branded Domains), you can attach your branded short domain with T2M by using the easy form available. In 4th text field “Base/TLD redirect URL”, enter URL where you want to redirect if someone visits “www.example” (your custom domain’s base URL) or leave blank if not sure. Lastly, Edit the existing A Record for your branded short domain and update the IP address to 173.255.214.50. If there no existing A Record then add a new one. Allow few hours for A record update to reflect new results. 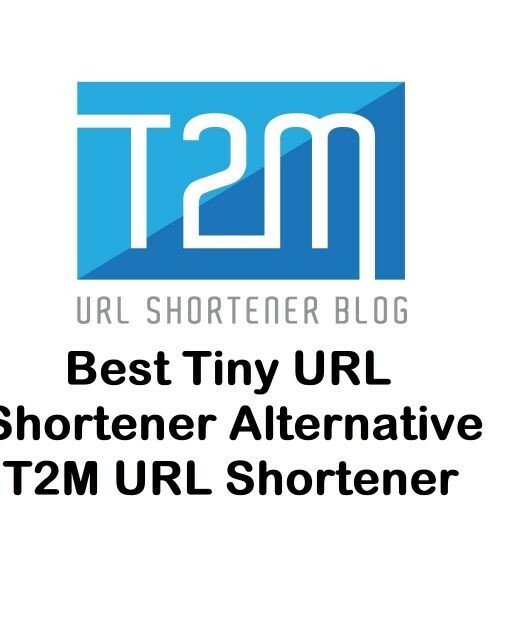 Try to visit your new custom domain and see if it redirects to https://t2mio.com then you are all set.